Individual solutions and Platform development for each User’s needs. The platform is adapted for Windows, Linux and macOS. Minimum system requirements of the platform ensure maximum performance. The history of trade transactions for the selected period can be filtered according to order, volume, counterparty and time of order execution. Data takes place via STP protocol in CSV format. Connecting your own automated trading systems through the FIX API protocol. Trading mode choice — Market, Limit, Market Limit, Stop Loss. More than 60 trading instruments. Usage of Slippage in Market Limit. Linux-based servers with fine customization for low latency tasks. Own FIX library and servers. The latest version of GCC compiler with maximum optimization for multiprocessor Intel Xeon Broadwell platform. Recent trends on the forex market make us keep up to date. More and more trading platforms strive to increase the execution speed and reduce the response time of an order. Thanks to FIX API connection to liquidity providers and “click and deal” mode, NTPro Platform instantly executes trading orders at the current price in the ticker. Do not waste your time! Trade in one-click! Turn on “read only” mode for indicative prices in order to avoid occasional actions that can lead to random trading operations. 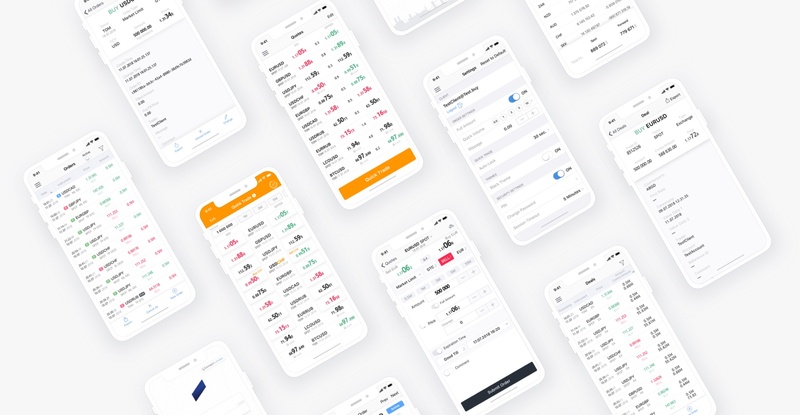 The Pro Trading Terminal application allows NTPro trading platform users to get access to the platform via mobile devices. The Pro Trading Terminal application contains all basic trading functions.